Frank also maintains a Beatles Exhibition: BeatlesOnTour, of which this bass forms a part of. 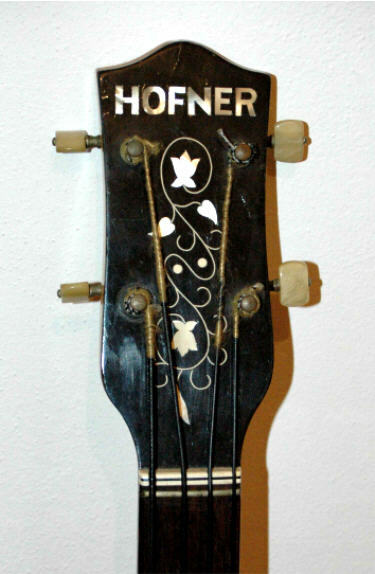 Note the "long" headstock on this early 500/5. The Model & Serial # Label Inside the Body.